Our first household survey in Zambia took place in July of 2012. This was when we conducted the baseline for the ColaLife Operational Trial Zambia (COTZ). Here we are, 6 years later, elated to be sharing the findings from our scale-up efforts in Lusaka (under the KYTS-LUSAKA project). To get a full picture of what was achieved under our transition to scale efforts, this post should be read in conjunction with this post about our KYTS-ACE (Adapting to Challenging Environments) Endline. 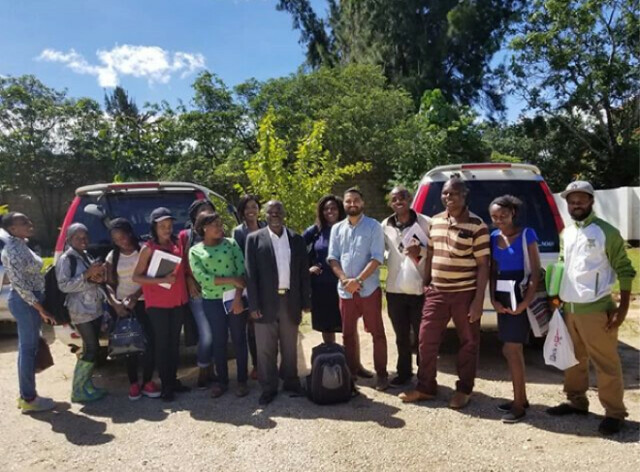 The data collection for the KYTS-LUSAKA Endline was conducted in February and March 2018. Data collection took place over the course of 3 weeks from late February to mid-March. This was following 1 week of training for all enumerators (12), all of whom had previous experience working on ColaLife research. In total, 1,652 household surveys were conducted with caregivers of children under 5 (between 6 and 59 months). 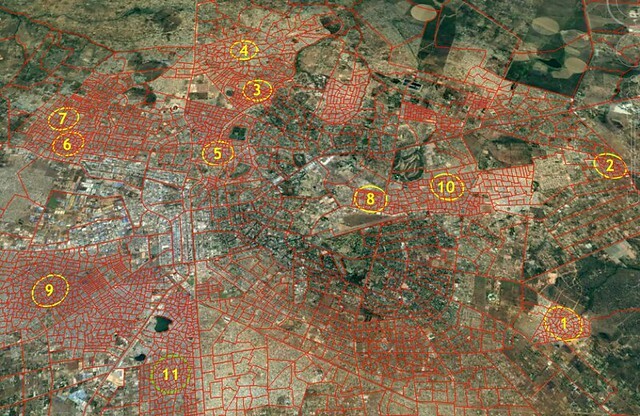 All data was collected across 11 compounds of Lusaka (see Table 1; Figure 1; and Figure 2). Households were selected using a random walk method within the yellow circles of the maps below. Each site (i.e. 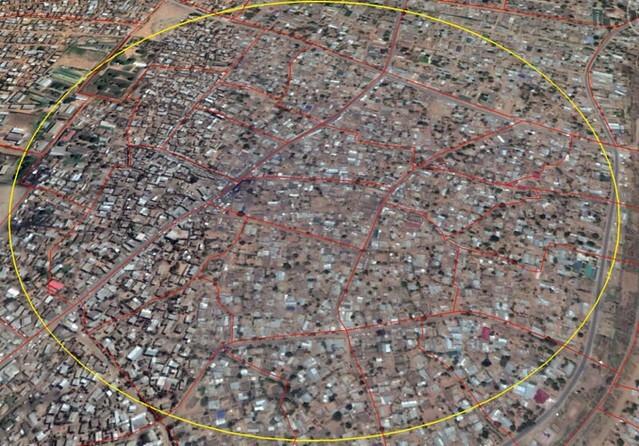 circle) was 1km in diameter. The number of households sampled per site was proportional to the population within the site. The simplified (ie top level) version of our outcomes framework (ie “logic model”) below shows the areas where we expected to have influence. Proportion of caregivers who prepared ORS solution correctly (rational use based on preparing ORS in the correct concentration). Our approach under KYTS-LUSAKA differed from KYTS-ACE, in that Kit Yamoyo was only available through the private sector (with the exception of about 6,000 kits, which the Ministry of Health decided to release into Lusaka Province towards the end of the project in response to ORS and zinc shortages at some of the health centres). This meant that for the majority of the 30-month scale-up in Lusaka, Kit Yamoyo was mainly available through small private sector retailers at the community level (many of whom received training from the project), as well as through our public-private partnerships with formal supermarkets like Shoprite. All of the private sector Kit Yamoyo formats – Kit Yamoyo Essential flexi-pack (ORS and zinc only), Kit Yamoyo original flexi-pack (ORSZ + Soap), and Kit Yamoyo screw-top – were all available at different points during the project. The table below presents descriptive variables for the sample achieved using the above methodology. The key findings from KYTS-LUSAKA are shown below, reporting against the logic model presented above. Innovation without access is no innovation at all. With a core focus on delivery and access of Kit Yamoyo, we wanted to better understand the specific populations being reached. This critical understanding is central to ensuring equality. We therefore disaggregated our key outcomes to better understand utilization amongst specific high-risk groups. The table below provides a summary of usage amongst these groups. What do some of our key findings tell us? In Lusaka, we have achieved a coverage level of 33% for ORS and Zinc. While this is a significant improvement over baseline (13%), we haven’t managed to hit the coverage rates seen in KYTS-ACE or COTZ. Does the combination approach of having kits available in the public and private sectors lead to higher coverage rates? Likely. Are there factors that make it more difficult to achieve higher coverage rates in more densely populated urban settings than in rural settings with fewer access options? What are these factors? We have more questions! 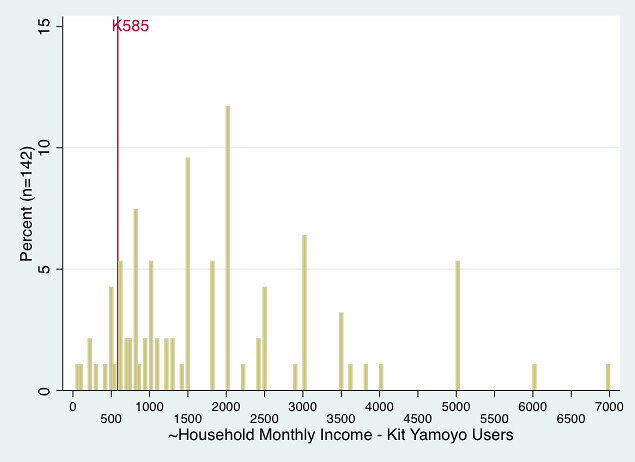 51% of Kit Yamoyo users used the Kit Yamoyo “ESSENTIAL” flexi-pack without soap, 25% used the flexi-pack with soap, 9% used the screw-top, and 9% used the GRZ version (limited distribution in Lusaka). 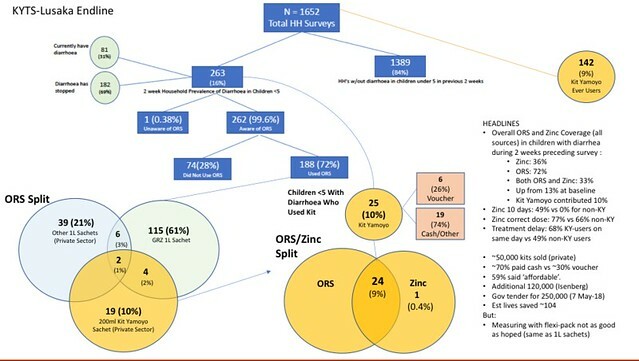 69% of those that used the GRZ Flexi-pack prepared the ORS in the correct concentration (perhaps because of more direction from health centres). Although the sample size was smaller, 100% of those who used the screw-top version prepared the ORS solution in the correct concentration. Only 65% of the 1L sachet users consumed the full amount of solution prepared. In 88% of cases, residual solution was thrown out. The quantity of discarded solution ranged from 250ml (37%), to 500ml (42%), to more than 500ml (21%). This data provides additional support for smaller, 200ml, sachet sizes as per those designed for the Kit Yamoyo. Only 51% of Kit Yamoyo users said they were aware that they could use the packaging/container as a measure for the water used to prepare the ORS, despite it being clearly articulated/diagramed in the instructions and on the packaging itself. The use of the flexi-pack as a measure seems not to be as intuitive as the formats with rigid containers (the original Aidpod trial format and screw-top). More needs to be done to promote this functionality. One thing’s for sure (also supported by research from other countries), co-packaging helps increase coverage of ORS and Zinc. Because the survey was conducted soon after a cholera epidemic (which took place within some of the Lusaka compounds sampled (Oct 2017-Feb/Mar 2018) and included the enforcement of emergency measures), respondents may have had reservations in sharing information relating to diarrhoea out of fear of reprisal. There is likely to have been under-reporting, particularly with regard to incidence/prevalence of diarrhoeal disease. Thus, findings should be interpreted within this context, and are likely to be conservative estimations. Please comment on this blog post with any questions you have.